Kate and Gerry McCann have used the £1million Find Madeleine fund to pay their mortgage, it was revealed yesterday. Fund organisers refused to say how much had been spent but confirmed that money donated by the public was made available for the family’s living expenses. Neither has worked since Madeleine vanished on May 3, although Mr McCann is due to return to his £75,000-a-year post as a hospital consultant this week. 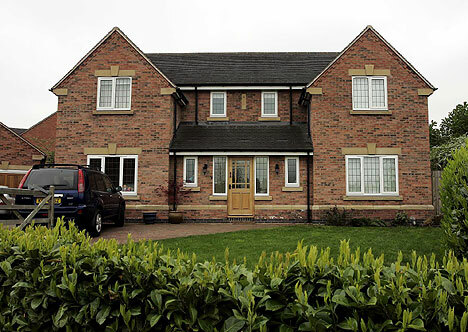 Mortgage repayments on the couple’s £500,000 detached home in Rothley, Leicestershire, are believed to be £2,000 a month. The Find Madeleine fund, which has received more than £1.09million in donations from all over the world, was set up primarily to fund a publicity campaign after the little girl vanished on May 3. It also met legal fees involved in setting up the not-for-profit business, which does not have charitable status. But the fund’s directors – who include colleagues, friends and relatives of the McCanns – ruled that they cannot use it to pay the legal team defending them against Portuguese allegations that they were involved in Madeleine’s disappearance. That has been met by a separate fund, using donations from wealthy benefactors including Sir Richard Branson. The salary of the McCanns’ spokesman Clarence Mitchell is paid by another millionaire, double-glazing tycoon Brian Kennedy. In the weeks after Madeleine’s disappearance it paid for her parents’ campaign trips to Madrid, Amsterdam, Berlin, Washington DC and the Moroccan capital, Rabat. It was revealed last month that about £300,000 had been spent, and a further £80,000 was paid out this month for a new publicity campaign in Portugal, Spain and Morocco. Donations have slowed dramatically, however, since the McCanns, both 39, were made official suspects in the case. Exact details of where the money has gone will not be disclosed until the end of the financial year when the accounts are made public. Fund officials said an administrator has been appointed to ensure “the highest standards of transparency and accountability”. Mr Mitchell said last night: “The fund exists to support Kate and Gerry where their living costs would become difficult. The McCanns have said any surplus money from the fund would be given to charities to help families of other missing children. 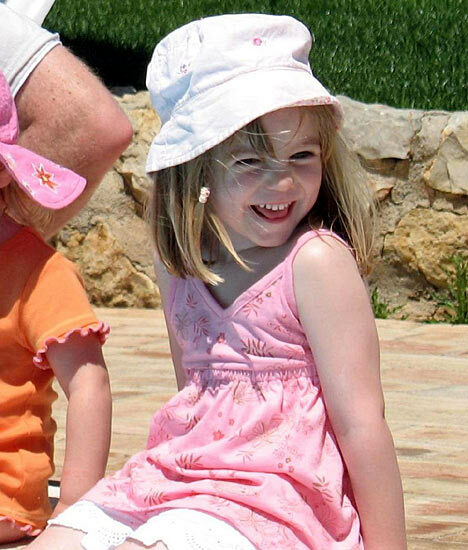 Friends of the McCanns have said they are anxious to keep the fund’s money for the campaign to find Madeleine. They denied Mr McCann was returning to work for financial reasons, insisting he wanted to regain a “sense of normality”. He has been on unpaid leave and his wife, a part-time GP, has not been paid while she has been off work. It is understood that Mr McCann will initially work three half-days a week at Leicester’s Glenfields Hospital and will not have any direct contact with patients until his employers believe he is ready. His return has been approved by the General Medical Council, which regulates the medical profession, but a senior heart specialist warned last night that it could put patients’ lives at risk. The consultant, who did not wish to be named, asked: “How will he be able to concentrate on his work with his daughter missing? It is a high-pressure job and you have to make difficult decisions. “I can tell you from personal experience that if your mind is not totally on it, it is hard. The group Patient Concern said Mr McCann should be monitored for at least three months and the public should be able to choose not to be treated by him. Director Roger Goss said: “It’s a good idea he is allowed back, but he should be monitored to ensure he is all right.